There are a few ingredients that make a great roadie*: great mates, great surf and great food. Yes, food… food is important. There is nothing better than the first well-deserved bite of those bacon and eggs when you are starving after hours of surf. So I figured it’s not only important to share good surf breaks but a few pointers on the best places to refill after your morning surf. Last weekend I went back to an old favorite on the dark side (i.e. Manly) after a morning surf in Dee Why. The lovely place is called ‘The Troubadour”. 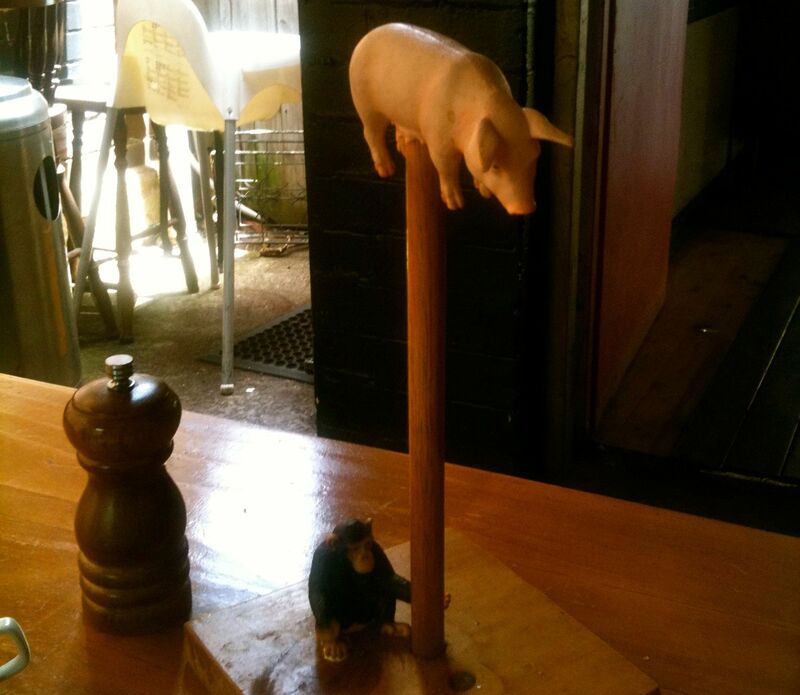 The Troubadour ticks all the boxes for an after surf ‘pig out’. The coffee is great and they have freshly squeezed juices on offer. They have all the standard brekkie stuff (eggs benedict, bacon eggs, muesli and fruit stuffs). If you are a bit more adventurous, try the poached eggs with beetroot marmalade and avocado and sourdough. The beetroot marmalade is to die for. You want to just take a jar home with you. I love their bread too. And if you are really hungry, you can’t go past ‘the Troubadour’ which is their version of big brekkie. It’s got everything you can think off eggs, beans, bacon, chorizo, mushies, roast tomatoes and sourdough. It’s not cheap but not expensive either if you are used to Bondi brekkie prizes. The staff is lovely and very attentive (they even figured we were hungover as hell – well on the other hand that was not too hard to guess). I love the way the place looks. The backyard is really cute. And I love the attention to detail. Instead of table numbers they give you little toy animals. Cute and funky place overall. The only not so great thing about it is the location. It’s on Pittwater Road in the middle of Manly, so no view to the ocean and the beachie feeling is not really there. In fact, it feels pretty much like a city café. It’s great for those super gusty surf and rainy days where you are just glad to get out of the wind and then rain for a bit after your session.